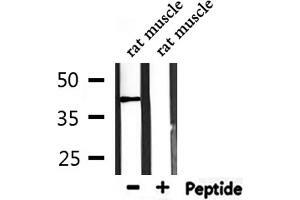 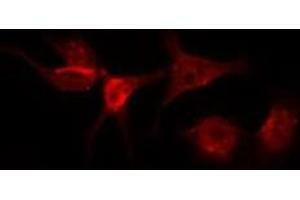 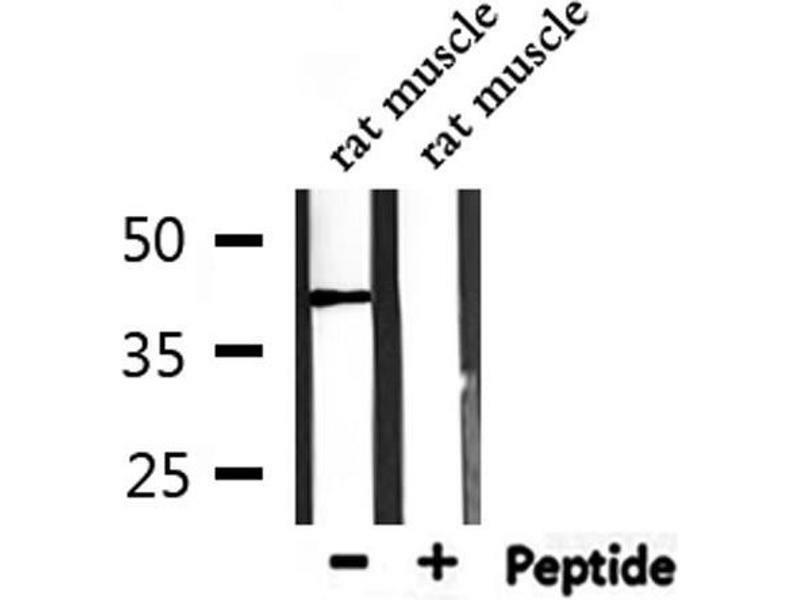 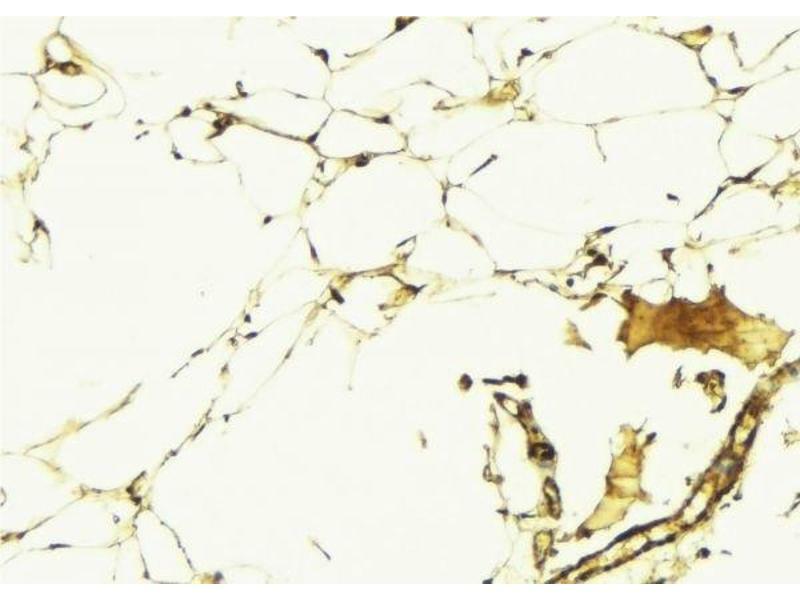 Western blot analysis of extracts from rat muscle, using AGTR1 Antibody. 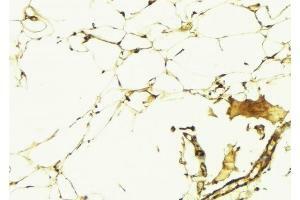 Description: Receptor for angiotensin II. Mediates its action by association with G proteins that activate a phosphatidylinositol-calcium second messenger system.